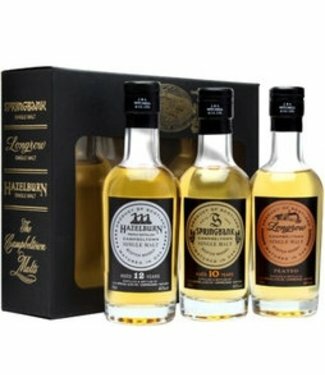 The original Springbank whiskey has leg distilled legally on the site of the present distillery since 1828, and probably illicitly since well before then! 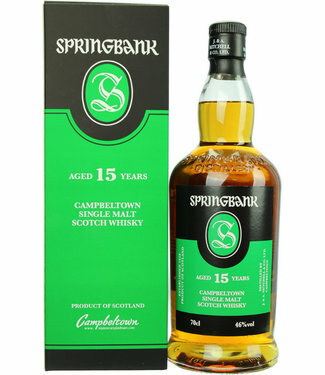 Known and loved amongst whiskey enthusiasts the world over, Springbank is produced using lightly-peated barley and a unique two-and-a-half-times distillation. This gives the whiskey a character all of its own, making it stand out as a must-have dram on anyone's shelf. 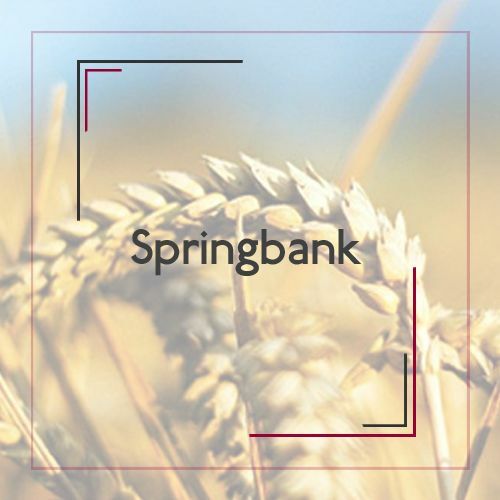 Produced using the most traditional of production techniques, from floor Malting all the way through to the bottling stage, Springbank can best be described as a "hand-made" single malt. 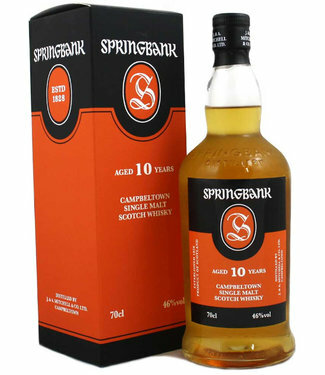 The classic Springbank complex, rich character can be found Throughout the various bottlings available: the 10 year old is matured in bourbon casks mostly, emphasising the distillery's character; the 100 proof 10 year old is Considered by many to be Springbank in it's purest form with its salty, briny flavor; the 15 year old, matured in sherry casks, is a fine after-dinner dram full of sweet, rich flavors like dark chocolate and raisins.